By responding to this offer you may be contacted by a licensed insurance agent. How would you like to receive a comprehensive financial assessment from an experienced retirement planning professional? This form allows you to keep a detailed record of your assets in an organized manner so that your retirement options are clear. You have worked hard for many years so you can enjoy retirement. The last thing you want to do is worry about running out of money. Will you be able to maintain your desired lifestyle? Annuities can offer tax-deferred savings, competitive interest rates, and a guaranteed stream of income you can't outlive. 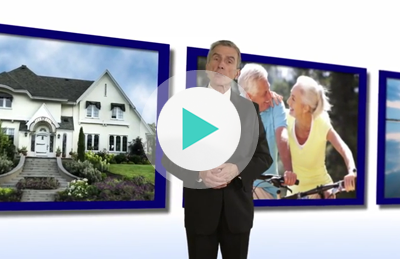 A fixed annuity guarantees to return your principal, plus a fixed interest rate. Fixed annuities provide fixed interest for a specified period of time. Fixed annuities give the predictability and stability of knowing exactly how much interest you’ll receive, so you can properly plan for your retirement. They are also very low risk, and help protect your money from market loss. Fixed index annuities don’t pay a fixed interest rate. You can select a variety of way to provide for returns. Fixed index annuities base your interest rate on a stock market index, such as the S&P 500 or the NASDAQ. Although your rate is based on an external index, you are not actually participating in the stock market. This means that while there are limits to how much you may earn, fixed index annuities are low risk. With fixed index annuities, you get the same safety and stability as fixed annuities, but with the potential for higher returns. Variable annuity, provides the greatest possibility for returns, but also comes with the most risk. These annuities grow tax free based on a combination of mutual fund investments that you select. Since you are invested in the market, you are exposed to the market’s ups and downs, which means you have the possibility for greater returns, but also the possibility of loosing money. Many retirees do not fully grasp the long-term effects that taxes and inflation have on their retirement income. They assume they are fine. The sad truth is, the choice you might be making now won’t surface for years to come. Either retirees spend their money too fast to have it last, or they hold back because they are afraid to spend money for fear of running out. In the years leading up to retirement you will be making some of the most important financial decisions of your life. The question is, how do you want to spend your retirement? Our mission at RetirementProfessional.com is to help people live the retirement they want. We are intensely passionate about connecting people with our growing network of pre-qualified retirement professionals. We understand the path to a stress free and enjoyable retirement requires careful preparation and a well thought out strategy. 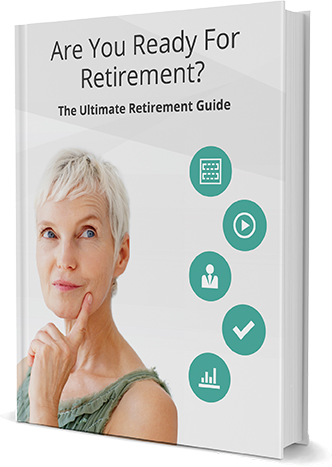 Check your inbox after filling out this form and click the download link to access your FREE Retirement Guide. We will not share your information with any 3rd parties. Guarantees are backed by the financial strength and claim paying ability of the issuing insurance company. © 2015 Retirement Professional. All rights reserved.